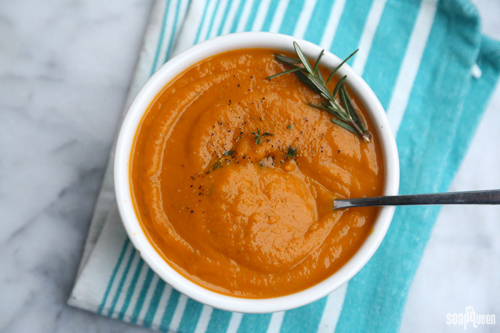 When the weather gets icy cold, warming up with a bowl of hot soup is so comforting! 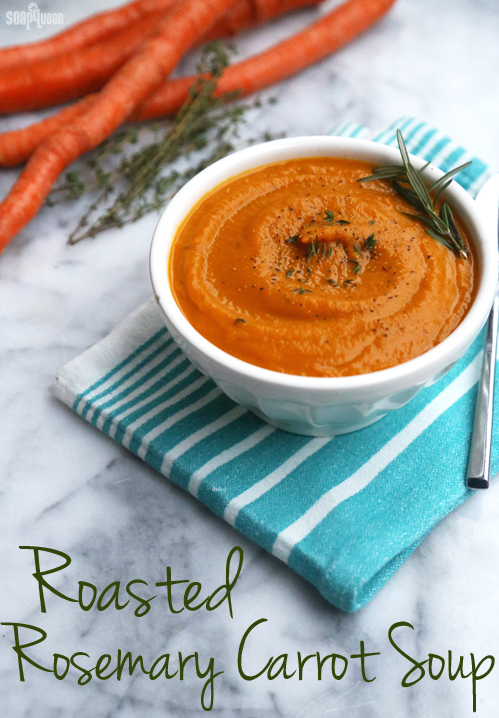 Soup is a delicious and easy way to eat vegetables, and this Roasted Rosemary Carrot Soup is no exception. Wonderfully simple, this soup involves just a few ingredients. 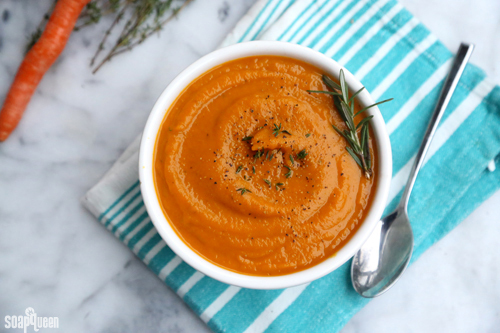 Without heavy cream or butter, this soup is paleo and Whole30 friendly. It makes make a great companion to a fresh salad, or sandwich. ONE: Preheat oven to 400 degrees. Remove the ends of the carrots, and wash thoroughly. 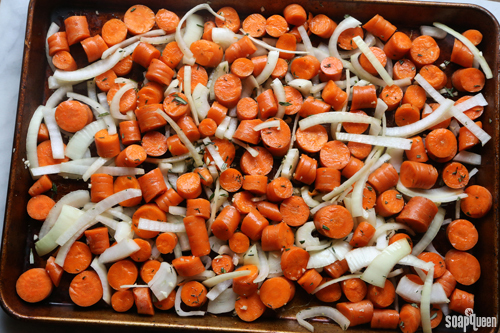 Chop the carrots into small pieces, and place onto a cookie sheet. Slice onions, and place onto the cookie sheet. Drizzle with olive oil until lightly covered. TWO: Roughly chop the fresh rosemary and thyme, and add to the carrots and onions. Dice the garlic cloves and add. Use a spatula or your hands to evenly distribute the herbs and garlic throughout the carrots and onions. 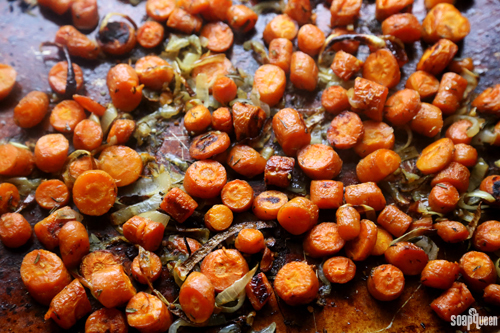 THREE: Place the carrots into the oven, and let roast for 1 hour. Thirty minutes into roasting, use a spatula to flip carrots and onions. It’s okay if they get a little brown, it adds to the flavor! FOUR: Remove from the oven, and let cool slightly. If using a stick blender, place the entire mixture into a large saucepan and add 5 cups chicken broth. Use the stick blender to blend until fully smooth. Turn to saucepan on medium to heat the soup. Add balsamic vinegar, and salt and pepper to taste. FIVE: If using a blender, add half of the carrots and onions into the blender along with half the chicken broth. Blend until smooth and transfer to a saucepan to keep warm. Repeat with the remaining half of the carrots and broth. Add balsamic vinegar to the smooth soup, and stir to combine. Enjoy! What is your favorite warm dish during winter months? Next Post: Soapy Social Media Roundup and Winners! Can’t we just eat it like that, Why do we have to bleand it?